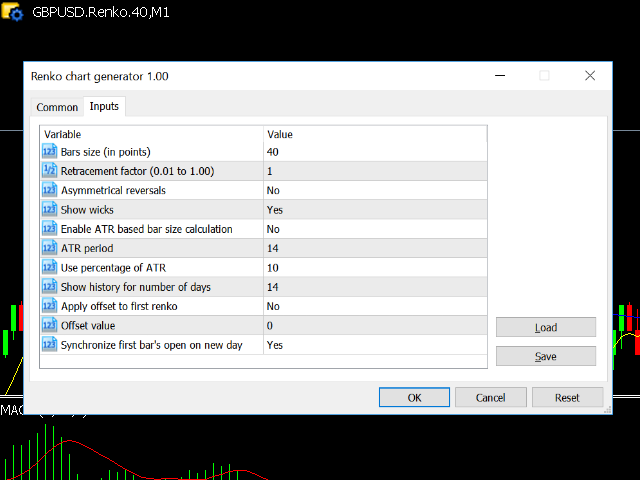 A DEMO version of an Expert Advisor (EA) used to create custom Renko charts and provide real-time updates. This is an MT4 "offline" chart equivalent which is very simple to use. 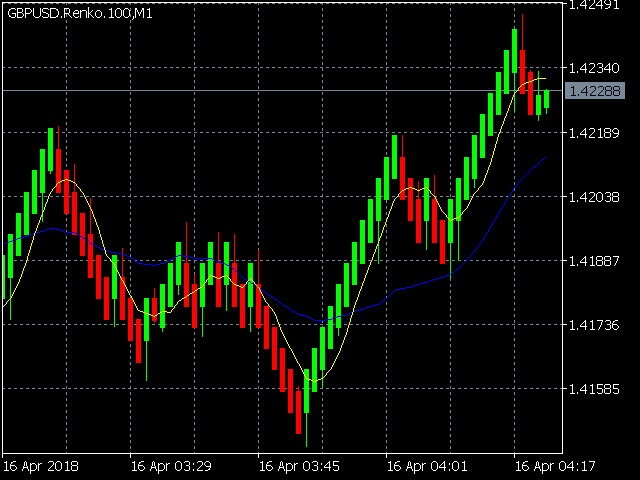 You can attach any MT5 compatible indicator or template to the renko chart and perform your technical analysis. This demo version is restricted to fixed settings of 200 point Renkos with wicks and an initial offset of "00" with the ATR based bars size calculation disabled. Daily synchronization feature is disabled and the demo is set to only show the last 21 days of history. Bars size (in points) - Defines the size of the candle body (value denoted in points). Show wicks (yes/no) - Candlewick visibility setting. ATR based bar size calculation (yes/no) - Automatic calculation of the candle body size defined by the reading of the ATR indicator calculation on the daily chart. 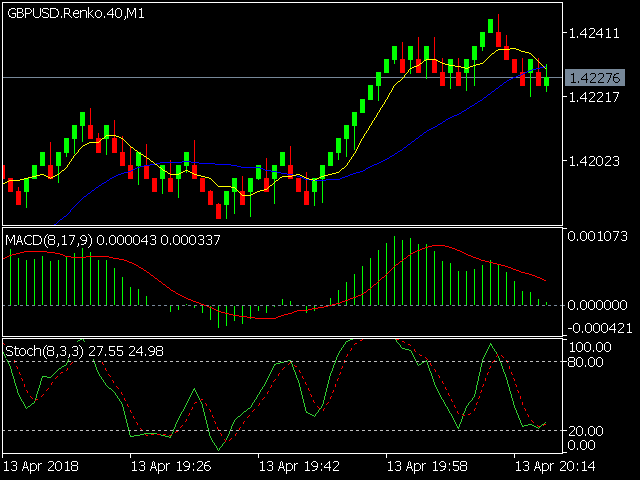 ATR period (1 to...) - ATR indicator's period setting. Use a percentage of daily ATR (1 to 100) - The percentage of the calculated value to use. 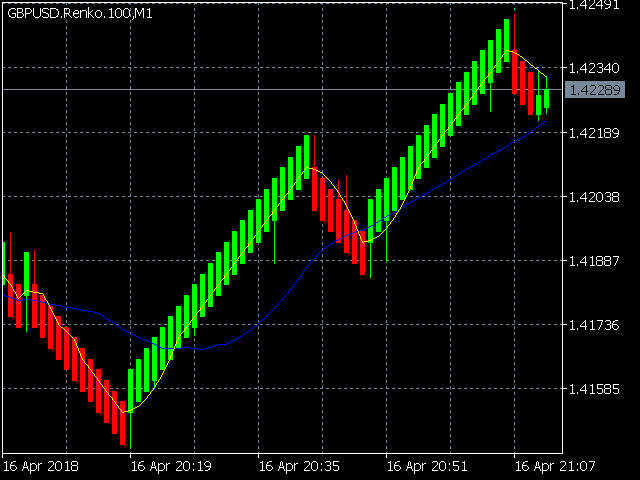 Apply template to custom chart - (the user-defined template that will be applied to the renko chart. If you have a "default" template saved, this will be applied by default).